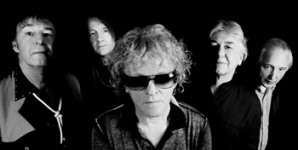 This index list artists who have recorded Ian Hunter songs and made them available to the general public using vinyl or CD, video or DVD, or mp3. Digital downloads from official band websites are included, but recordings sampled from live tapes/CDs or YouTube videos will not be listed. Use the links below to learn more about a particular cover version. Separate entries for Mott The Hoople, Mick Ralphs, Mick Ronson and "All The Young Dudes" cover versions are also available. The miscellaneous section have details about those lovely budget cover version albums issued in the early 70s. A very big thank you to LOUIS IOSUB for his help with compiling this index!